Droplr is a file-sharing tool for Mac and Windows users. Effortlessly share files, screenshots, and screencasts with friends, colleagues, and clients. "Fast and stable with no faults from day one!" Droplr is fast, simple and easy to use. The shortcut and snipping tool are very useful for a production environment where information, images and files have to be shared. It's also great that Droplr has the annotation option for taken screenshots, as well as the new addition of the blur tool. This is great when trying to hide some information such as sensitive data from certain clients. I wish that there were more options for the self-destruct option. We use a paid version of Droplr, however, even there cannot decide exactly how many days or months this should be kept. This might be very useful in certain cases. Lastly, there should also be an option to access the image directly. Even when using the "+" at the end of the link, to view the image directly, the URL that's generated cannot be used in code or programming for example due to the massive query at the end. Droplr has allowed us to share information with clients. Our customers see what we see, and we can annotate the images to point things out. This is very useful when talking about issues or changes in projects. We're able to share problems with clients, or show detailed guides as to how they can resolve these themselves. "Teamwork reaches a new level"
What I like most about Droplr is the ease to share and edit documents as a team. Many times we have an idea but we need to work in groups so that this idea is carried out more effectively and this software does that very effectively. It is very easy to upload one or more files and all the computers in your company can access it and work on it at the same time, that's what I like most about this program, the ease it gives people to modify everything much more quickly. Without this tool the process of editing and developing an idea would be much slower. Another positive aspect is the facility to create shortcuts, because thanks to them it is very easy to perform actions such as selecting a specific area and that link is in the clipboard. Sometimes there is an error in the drawing editor or it takes a while to load and visualize the changes, but it does not happen with much assiduity, it is something punctual. If in your company you need teamwork to be more effective and also have several business areas that carry out projects together Droplr can help you facilitate the upload of documents and online editing in a group. When you have several teams in different business areas in your company, tools such as Droplr make your life much easier. In our company, for example, when the sales team and the design team have to work together, this tool allows us a very useful time saving, since the design team can edit documents that the sales team has hung on Droplr and at the same time, the sales team can communicate and modify certain aspects of those documents. That is, it has greatly improved the effectiveness of our collaborative work. "It's Great 75% of the time." It absolutely saves computer and cloud space no doubt. That's the main reason we use it at my work place. I like that you can save the links and refer back to them. They store them on a list that includes thumbnails so you don't have to click 100 different links to find the one you're looking for. I also like the feature that you can annotate the screenshots if you need to highlight a certain part of the screen. The video screen capture is really convenient. But it will crash on you if you record more than 8 minutes of screencasting. It's not always reliable. There are times you use it and you get your link right away. Other times you wait 30 or more seconds for the link to generate. They lack user support and when you run into problems they just refer you to their FAQ's. Which is sometimes helpful, but they lack personable support. I would like to see them add more features to the annotate section like smaller text or different color fonts. Currently, they only offer red. We work with cloud space. So having links like droplr saves space and time. We use it for employee training especially. Attaching regular screenshots simply takes too much time and takes up too much space. It takes high quality screenshots without having to take up any space on my hard drive. It's a tremendous tool that really takes the strain off of having to worry about how much space is being taken up by needed screenshots on my computer. Since I work in video and design so often, I have to regularly clear off my hard drive. Droplr takes that problem away and lets me do better. GIF feature. There's no way to adjust the frame rate, which creates very slow GIFs. GIFs often serve a tremendous value when trying to demonstrate issues going on with a client website or a certain video I'm editing. I don't want a problem to take 30 seconds to watch when the actual issue is less than 3 seconds. Yet that can very often happen with the GIF feature stretching out the length of the actual issue. If you need fast screenshot sharing/file sharing, use Droplr. Once you set your custom shortcuts, then the product can be easy to use. The default settings are a bit wonky, but you can customize. Simply put, we're solving storage space. When our design team needs to evaluate design options fast, instead of having to screen shot and upload, they use Droplr, paste the link, and can talk about the problematic element. This saves us time and space on computer, which increases efficiency because now our team doesn't have to go through and clean up space on their hard drives each month. "Easy to share than ever before"
This application is extremely easy to use. These apps are designed to make sharing files easy, so missing this makes it dead on arrival. Droplr is also cheaper than a lot of other similar applications. Less than $5 us also worth the service this software has to offer. You can even use Droplr for free instead of paying for it as a trial for one week. Droplr is even cloud hosted. A major drawback of this software is that Droplr doesn't work on Linux Operating System. Even though Droplr works perfectly on Windows and iOS, Linux has a major problem. Yes, a must recommended application especially for small and medium scale enterprises. As this is cheap application for sharing files, small scale industries can always benefit from such a deal. I use Droplr majorly to share and store files for my work. Being in office, I always use Droplr to send my files to my colleagues and clients. "My favorite way of sharing files and data"
I've noticed that Droplr doesn't work properly on mobile phones. Or at least, I have faced issues while accessing this software on my mobile phone. A strong internet connection is even needed causing high bandwidth usage. One major disadvantage is the fact that Droplr doesn't have any free subscription, only a trial period is available. I use a MAC and Windows software at business and a lot of software don't support one of the two operating systems making my work more difficult. Droplr, on the other hand, works in both the operating systems. At my current company, a lot of my presentations are given to the doctors who recommend our products. With Droplr, I can not only send large files but also screenshots of my work so the doctors can understand and verify the information. My team is even sent soft copies of my data so Droplr even acts as a software for file storage. "By far the very best screenshot tool for high performers on Mac Computers"
Everything. Super Smooth. Awesome upload timing. Since the fixed some bugs a few years ago you can annotate any screenshot easily. But what I love is taking screencasts that are super fast in rendering - so any customer who receives the screencast video can get their hands on the link to screencast within minutes. Also they have a great support. Super nice and fast. I did dislike bugs in 2017. Which have been fixed for quite a while now. Get it rolled out in your entire team. It speeds up your workflow dramatically. Our entire team is able to annotate webdesigns & software through screenshots and prioritize them afterwords into todos. Super fast and everybody on the team uses it often and happily. So great work. Gets our workflow going very fast. I use Droplr since 2012, and it's interesting how little I have to think about it. It sits right in my menu bar, I move a file over the icon and wait for the "bing" to share the file. I tried other file sharing services, and nothing comes as close to the ease of use than Droplr. Nothing, since it does exactly what I need. File sharing, occasionally file storage for (a) files that I need to share in the future, or (b) to keep a quick backup of an important work-in-progress. Point is, that with the quick upload, it takes a few seconds to handle the upload, and with the self-destruct I don't need to think about it again. If I'm honest... I don't like the design too much. I'm a very active use and rarely have to go to the site unless I wanna clean stuff up (which isn't too often, every couple of months). I rarely interface with the site or the app, I rarely have to, I normally just take screenshots and grab my link post it and go from there, but I don't love the site. It's very navigable and useful as is the app, they're just not that pretty! It's the handiest tool in my tool belt for showing images. I love how easy it is to use with the short keys. It saves more time than you could ever imagine. "Can't imagine working without Droplr again now.."
I like it how I can send large image just by dragging my file to Droplr, get a link out of that, and send it to the client. I also love it how I can send comments & annotation just by a couple of clicks away. Pressing shortcut to screenshot, annotate, upload, and then just paste the link on email / Slack / chat. It really saved tons of my time. One of the thing that I don't like recently is a bug that happens when I tried to create annotation. The bug appears when I tried to press "Upload" button (on Mac), and suddenly the arrow / shape I made just went crazy and misplaced. In the case of arrow, it's pointing to the "upload" button I'm trying to click. Made me has to repeat the process again. And.. when the upload is failed. I got to repeat my annotation again which is annoying. Sharing big files, annotating, video screen recording, and sharing it whether to your clients / teams has never been this easier. I guarantee it can save you TONS of time. Sharing information whether it be large files, annotated image, has been a part of my working life lately. In the case of large file, sending the attachment to client (large one) might resulted in bounced email - particulary email with limited inbox size. And that's really frustrating. Now I can just Droplr it, paste the link in email, and send it. Without ever have to worry about it again. And since I'm a UX designer, I annotate screens A LOT. And communicating the idea / revision to my employees was never easier. Droplr is a great product that I use multiple times each day. I use it for personal use and business use. I originally started my subscription as a free customer, but quickly saw the benefits and became a paid user after a short amount of time. I've been a paid user for a couple of years now. Again, I really like the product and it helps benefit my team every day. There really is not too much that I dislike about Droplr. It is very intuitive and easy to use. One thing that could be improved is that I wish the video sharing aspect was a bit faster in terms of developing the link. Not that it really takes that long, but if I had to pick an aspect that I think Droplr could improve upon, it would be video link building speed. I recommend that anyone who reviews visual assets use Droplr when going through the reviewing process. Droplr helps provide added visual context that can help the reviewer express himself or herself better. I know, from my experience, that Droplr has helped me better express myself to my team. From a business perspective, sharing my thoughts using Droplr links is very helpful. I am solving all sorts of issues by including the added visual context that Droplr can provide. Whether image or video, the benefits are numerous and have really helped my team. I do with that I could set an expire time on each file type, eg links never expire, images expire in 7 days etc. That kind of control would be great. Right not the only setting for this was global which there are many cases, especially when sharing URLs I would love to keep those active for much longer. Another thing would be a true API that plugins could use, my work includes a LOT of WordPress work. I would love to be able to use Droplr to shorten all URLs within my site or customers sites. Also sharing files from within WordPress to Droplr for file downloads would be an added bonus too! Working in a remote team, it has made it easy to share just about anything with my coworkers including code, links, and screenshots of issues that I may have seen. "One of the best productivity apps I have ever used." I wish there was the possibility to share a catalog/collection/album and not just a single item with a customer or colleague. Another feature I would like is sharing code snippets. You can share text snippets which is great, but I would love to store and share syntax highlighted code snippets as well. I recommend the premium/pro service over the basic. It allows you to wire up both your domain name as well as brand the pages with your company logo. This really goes a long way to making even the smallest home businesses look and feel much larger and improves your professional presentation with polish. Sharing assets through development and research processes. This has made it much easier to communicate with my customers and expedite the decision making process. Taking video of software interaction ideas and screenshots of designs has greatly improved the way I communicate with customers and my peers. What i like best is that i get rewards if you refer! it also supports large files and i can just drag and drop any file i need to work on. when i signed up they gave me the option to watch a training video if i wasn't sure how the website worked. you can see who has opened your sent drops and it is really friendly. and all the features i get are just too many. also the apps option is amazing. the email you receive from them at first is helpful and they are really friendly. overall i rate it an A and so far i been satisfied. the person i refer gets a free trial as well! it has the new draw in feature which a lady in a video shows how to use it to create your first drop. Thank You for the opportunity to try it and i will be buying the monthly subscription after the trial is over. i have been able to minimize the work time i spent each day because of this website! and it makes it easy to share with peers and family members. "Droplr has always provided the most simple way for me to share files, links, and notes with clients." There is nothing that I can say I honestly dislike. The iOS app can be a bit wonky at times. When view a file it will show nothing but a black screen and then a white bar across the bottom where the toolbar is. This is on iOS 10 on an iPhone 6s. Uninstalling and reinstalling doesn't fix it. However, waiting and coming back later seems to work. When working on editing a photo or design, it's nice to be able to grab a quick snippet of what I'l working on and then sending it off in Slack or iMessage. Annotations help in this area as well. "Super tool for showing work to clients!" It's fast and easy. Keyboard shortcuts + copied link to clipboard makes for speedy updates in design conversations. Color shift. Hue and Saturation are always a bit shifted on screen captures. My monitors are color calibrated and will load a separate profile for display. There is always a slight but noticeable difference in color between Screencaps and display/saved-file. Droplr is very quick and useful. The price is reasonable, though you may be able to find similar packages that are free (though, I would not expect them to STAY free, and once you have an archive of your shared images, you will be compelled to hold on to them in many cases). As a freelance illustrator and games artist I need to communicate visual ideas quickly with my clients. Droplr makes that happen easily for me. Communication is key, and Droplr makes that much quicker. "Incredibly easy to use - makes collaborating in a team MUCh easier"
Droplr is amazing in the fact that it creates a simple way to send screen shots and videos of important information back and forth amongst team members (or even to customers) quickly and easily. If one of my customers or employees has an issue, I can walk them through the issue with a video within seconds. It's slightly more expensive than I think it should be. But theres no question that there's value. USE IT. If you do any sort of communicating with your team online, it will definitely simplify your life. Sometimes my employees or customers will have questions that are just easier to explain over the phone or in a video. With Droplr, I can record a quick video that walks them through step by step what they need to do. The video automatically uploads and they can get the help they need and be on their way in minutes. "An excellent application for sharing work fast! A+"
I love the speed at which you can share files or screenshots and that it copies your uploaded file to the clipboard...it is so much faster than using something like Dropbox! I love it! The ability to set items to auto-destruct after a few hours or days is also incredibly useful as it prevents you from ending up with a huge messy list of things you've shared. The recent addition of tagging is also great because it allows you to categorise and find previous drops really quickly. Occasionally the updates seem to get a bit broken on my mac at work, but that is probably something that is only a problem for me. It could be due to the configuration of our network or that I have a couple of conflicting installs. I've not got a lot to complain about to be honest, there is some occasional down-time or issues relating to the service being down but the support staff are also responsive whether it's via the in app messaging service or via social media. If you want a lightweight fast approach to sharing screenshots and files fast, whilst keeping an archive of everything you've sent previously - then Droplr is perfect for you! Being able to avoid sending massive emails with huge attachments on them is incredible... not only does it reduce the pressure on my colleagues inbox limits, but it also allows me to have a constant backup of everything I've sent via Droplr! (Windows user) The ability to upload any file, executables and DLLs included, and having them easily accessible is great. Up and download speeds are very good from rural Ireland. I tend to use the web interface most and that's working well. The automatic tagging is very useful and always comes in handy after I've uploaded a file! 1. The web interface's large icons are a waste of screen space - redesigning the grey oversized icons would help, along with allowing user to decide how the interface should look - I'd be happy with an FTP style listing to be honest - File name, date created, owner, link, and tags would be enough. 2. The d.pr URI isn't allowed on some social networks. Only seen it banned by Steam chat, but suspect they're not alone. 3. Lack of a directory structure - I know the tags are to deal with this but ideally I'd like to put all VSTs and plugins (DLLs) into one directory, semi-finished tracks in another and mastered mixes in another. At the moment all tracks have to appear together unless I tag them. Simple, not very frilly or silly, robust file sharing platform. Being able to share music files simply and directly with clients; Being able to share plugins (especially DLLs) without complaint - not possible with most web mail clients; Solving issue of limited downloads of licensed products. "Team file collaboration & more at it's best ❗"
The Dolphin's Voice (TDV) is using Droplr as a tool for communication & collaboration. We want to make our working lives simpler, more pleasant, and more productive. Droplr is really a simple way to share files & more with team members anywhere. One great features is the support for large files and the in-browser previews for Images, Video, Audio, Documents, Notes, Links, & more. Last but not least we like the "Collections" feature, so we can organise everything that we share with tags. Just give Droplr a spin and see how you will like and enjoy the tool that really saves you time in many ways! With Droplr we solved the problems to easily share screenshots, branded links and files without hassles. We realised a lot of benefits working with Droplr. One outstanding features for us is to be able to create branded links that reflects our main url. "Great way to send screeshots and screenshares"
This tool has been huge for us as a team. We are constantly sending screenshots and video screenshares via Slack or email to our remote team. The fact that I can share the screenshot and video instantly via a link makes this tool invaluable. The simplicity of using Droplr is my favorite feature. The only thing I dislike about Droplr is the upload time on larger files. I understand that it takes time for larger items, so it's not a big deal, but it can be time consuming when you approach 30+ minutes on the upload. We are able to get answers faster for questions because instead of describing the situation, we can simply send a screenshot and a video screenshare answer. It absolutely makes our team communication better and allows us to be more thorough with your support answers. "Easy to implement and extremely useful"
Quick file sharing and easy screen recordings; spending more time on my ideas and less on how to share them. As a digital marketer, it's also nice to create collections for creative tasks - they are like inspiration boards I can add to whenever something inspires me. There is a lag before the drop is uploaded to the clipboard, and I find myself pasting what was previously copied. There are so many great tools with Droplr - it's not just a screenshot tool. I am partial to the screen recordings feature, collections and GIFs. There are so many ways to use it in your workflow, and the hotkeys make it super simple to implement. I would not hesitate to recommend it. As a digital marketer, I find it very effective when communicating issues or ideas to the development team. The screen recordings easily clarify what's going on so they can create a plan to fix it. Annotations for screenshots are also extremely useful when i'm conveying ideas to designers or clients. "Great until I added more screens than it could handle"
I loved how it worked, it was simple and intuitive and fit my needs appropriately. I especially loved the ability to use my own subdomain. I went from 2 1080p screens to 2 4k screens and one 1080p screen. This isn't a terribly crazy setup, particularly for someone who works from home with computers. Unfortunately Droplr no longer works for me, and despite direct communication with their development team they've so far been totally unable to resolve the problem. I carried out exhaustive testing and emailed them the specific results, even offering to try out beta builds or give them access to my PC, but I don't think I've heard back from them in about a month now since we definitively established the issue was the sum pixel area. Disappointing, and I haven't been able to use the product since. Don't use it if you have more than 2x4k monitor's worth of total pixels, it simply will not work (on Windows, at least). I work support for DigitalOcean, and the primary use is showing customers what I'm looking at or what they should be doing to achieve a desired outcome. Speed is key, so the ability to seamlessly take and upload screenshots is very important. Droplr solved all of these problems and even helped communication within my team. "Wonderful software for sharing content"
I use it daily. I use it to send captures, photos, videos to my friends and colleagues. I also use it to feed my social networks with new content. It's great. Easy to use, fast and reliable. For me everything is positive. In addition, you can set passwords for access to content and expiration to information, does anyone give more? For me, everything is great, but I would improve only 1 thing: I need to be able to have more expiration options, because 1 week is very little (as maximum limit). You need to be able to have longer options: 1 month, 3 months, would be perfect. With that change, Droplr would be the best !! I like the ease of use, the screencast to gif feature, the URL shortening service, the annotation features and the overall glitchless experience. I wholeheartedly loathe that there are no options between the free service and the PRO subscription. I work as a teacher in the Norwegian public college segment, and even though I could have use for more than the free 10 drops per month, I really can't justify spending $120 a year out of my private budget just for the availability of a few more drops per month. There's absolutely no way that my employer would be able and/or willing to pay for it. I sincerely can't believe that I am alone in thinking that, and I thus think Droplr is missing out on a great opportunity by not catering for the professional with intermediate needs who would pay out of their own pocket for using this otherwise splendid service. Great service, but paid subscription sadly too expensive. As a teacher in creative subjects like arts, design and architecture (including software), I share everything from internet links to images, files, designs and instructional screencasts. There is a huge gap between sharing 10 drops (free) and unlimited drops at $10 a month. I would consider it very strongly if a subscription of $5 per month for, let's say 150 included drops, 20 GB user bandwith and5 GB of storage were offered. For a third ($3.33), It would be no question. I have been offered free intro months, $10 gift cards and so on, but the thing is that I'm in it for the long haul and offers like that would be nothing more than wetting my pants to keep myself warm – I'd still end up freezing. "Droplr is my most used app, period"
The ease of use is what I like best. With a simple keyboard shortcut, I can select a screenshot from any area and I don't even have to take extra steps to copy and paste. The link is automatically copied. I use this feature literally dozens of times a day for my design work, and for mockups. It even has a wonderful built in feature for Photoshop, that whatever document I have opened, it will take a perfectly sized screenshot for me. I wish I could bulk select items in my Home area to delete/manage. I have sent probably at least a dozen people over to Droplr. Most were clients, some were friends and family members who kept trying to utilize browser extensions to screenshot, or did not know how at all. My clients also see that I use the branded version of the product, and I receive questions and compliments about it. So yes, I definitely recommend Droplr! I recently started taking advantage of the screencast feature. Just yesterday, I was able to screencast a difficult problem I was having with another app, to send to the developer. It captured the visible action of the issue, rather than my explaining. Dropl again saved the day! Droplr has and has always had an easy to use shortcut feature to upload screengrabs in a single action. Hit the shortcut key combo and the cursor immediately turns into a crosshair after you select the area it automatically uploads AND copies the URL to the clipboard. Other companies just can't get that right and I love that Droplr has and always has it like this. Their web UI used to be a little clunky and hard to search. It's gotten a lot better now though. I do not like their new branding. Some people use Dropbox or Cloud, I like the specificity of Droplr. It's incredibly good at the thing it does. For that reason, I recommend it. I save a lot of time and have effortless communication with this tool. I'm a designer so being able to communicate quickly before investing a ton of time into an idea is critical. Droplr facilitates that. "Ease of information transfer is why I use Droplr." The feature I like best about Droplr is the simple ability to transfer a file, from one computer to the next, via the cloud by dragging and dropping a file or folder on the Droplr icon. I don't have to specify a location, name, or wait for it to upload, like I was doing prior by sending emails with attachments to myself, with Droplr, that all happens in the background without my intervention. I dislike not being able to download files directly from the Droplr desktop app. Instead, I am directed to the Droplr website, where I can download the files. It would save me time by being able to download files directly from the desktop app. The Window desktop app hotkey control panel would benefit from a make-over. My multiple attempts to use it have often yielded no results. Droplr advertises their collaboration tools most frequently, and I have used most of them to certain degrees. However, I find their best feature to be the way that it allows me to send files from one computer to another on my own terms, managing the logistics without impacting productivity. My problem was file management between computers. My previous solution was using email to send myself file attachments, which I could then download from any computer. Using email was slow, hard to keep track of, and used up too much of my email providers inbox storage. Droplr helped me to resolve most of these problems. "The tool you didn't know you needed. Use it for a week and you won't be able to live without it." I love how fast I can share things. That fact that I can bind Droplr to custom key binds is great - it's always available. Links are automatically copied to my clipboard as soon as I take a screen shot or record a video - just one less step I have to do myself that genuinely shaves time. I like that I can set expiry dates on my drops. Notes is a great feature and I'm looking forward to using the new code snippets feature too. The fact that drops are hosted via unique links eliminates the need for old school email attachments. It also removes any particular software requirements. As long as you have a browser - you're good. The recent update to windows (3.3.3 I think it was) was just a pain. It promised so many new features, but in turn broke a lot of the old features. I think the product is great - but what would make it better is features we're testing more thoroughly on ALL platforms. Don't ship something that's broken. If you share things often online, work in a team, work with customers online throughout the day, capture screen shots or record videos for guides and demos. This tool will genuinely save you a lot of time and turn you into an efficient sharing machine. The biggest value for me is demonstrating things to customers. I work with a big CMS all day - often sharing a 30 second video so much easier and faster than writing a step by step email. "Screenshot sharing done easy :)"
I like how its so easy to take a screenshot, annotate and send to a colleague. The ability to save shots and keep them somewhere safe is cool too since we might need them in the future. One things I don't like about Droplr is the app view on the web. Its hard to differentiate between shots and I was confused with the interaction when selecting between multiple shots. I understand why I have to click on a drop and link to open a previous shot after using a couple times. Maybe have a side panel or differentiation between the shots view and details view. I also feel like when Droplr is used with the whole team, it might be overwhelming if a team of 5-6 start saving screenshots to one page. I would almost think that there would be an admin to manage the screenshots.. Would be nice if it was automatically categorized and organized. Please please please add a functionality where users can save the screenshot to their desktop or designated folder. It is a hassle to go to the web and download shots when I want the actual file. The face that screenshots are safely stored on the web is a plus! When I have to go back and review some screenshots I took, I can always go back to the web and show my colleagues. If you upload files mainly from a Mac, though, the Droplr Mac app will be a very nice surprise. 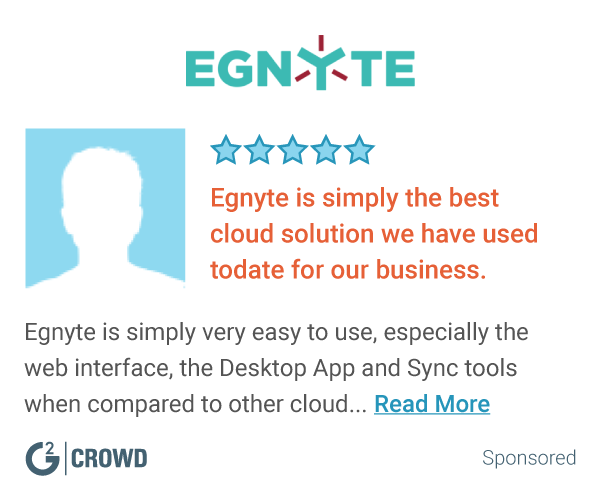 It’s got the same drag-and-drop sharing convenience that CloudApp has, but with extra features. Hover over anything you’ve uploaded to Droplr in the menu, and you’ll see a preview of it, as well as an option to copy the link, share the file on social networks or by email, make it private, or delete it. The copy link option alone has saved me tons of time. Then, you can upload files or links directly from many apps to Droplr from the menu or by pressing Alt+D, or compose and upload a note directly from the app. Speaking of smarts - my files = my links. I can add my domain, customize my drop background (a small extra, given), and I can see more detailed stats on my shared files. Droplr doesn't leave the top of my screen. I like to capture the whole and long page of a website just with one click. Droplr is the tool I use to quickly make and send colleagues a screen copy/screencast and send for helping them to solve their IT problems. I am using Droplr to capture an note information on the screen and also Evernote to store information for the long term. Droplr + Evernote + Dropbox are the centre of my Personal Teaching Environment (PTE). What I like with Droplr is the ability to crate either screen copies or screen casts. Before I was using two diffrents tools to do this and now I can decide on the spot what is better according to what I want to communicate with my colleagues. I also like the fact that when a screenshot or screencast is saved on Droplr, you immediately get a link to it, link you can paste in an email or post on the forum/Skype/GoogleHandout, directly in the middle of the conversation. I was initially sceptical with this service but since I have decided to use it, I don't know how I was doing it before when I was not aware Drpolr existing. I haven't found yet something I can't do with Droplr. I wish having more tools or more options with the tools when anotating the screenshots. Start using the software with a trial and free account and then decide how and whether it is worth to invest in Dropl. "Droplr is an essential tool in our Digital Agency workflow"
Sending files should not really be a task, it should never be in the way of the actual work you're doing. Using droplr uploading files is just a keystroke away. With the feature to get a link even while its still uploading you just send the link and no time gets lost. Amazing as well is the fact that you never have to worry about filesizes, we upload documents, images an videos aswell. The instant preview of certain types like images and videos also increased the rate of people consuming the contents since it's faster and easier to consume. For bug tracking, the screengrabbing and annotation features have proven to be absolutely amazing, we couldn't live without them anymore. A year ago the video/gif feature was very buggy but they fixed everything really nicely. Apart from that a simple restart of the app always fixed issues. As a digital agency we have to quickly explain situations and deliver files hundreds of times each month. Droplr lets us cut time wasted in tedious upload forms and focus on the creative process instead. Another benefit is that since shared files are not changed anymore, they nicely represent a certain snapshot of the file of a given moment. That means that even if you changed something on the source file, the link always retrieves the file of the moment you uploaded it. While this sounds naturally and super-basic, it's really something that enhances your workflow. "I bought a copy for my whole development team." The annotation support combined with the fast uploading for a qualified shareable URL is extremely good. I probably take 20-30 screenshots a day for sending to remote workers. The tools on the annotation are exactly what I need as well, simple and straight forward tools, I don't need or wants stars, emojis, etc. The mac application runs in the system bar instead of cluttering up my dock. This is a huge plus for me. I'm not a huge fan of the web portal - I simply don't use it that much, and the organization of the screenshots on a heavy user like myself wasn't great. However, I don't care about the web portal - as I'm not using that in any way. I wish the screenshots were locally saved as well so that I didn't have to go to the website to get a screenshot file for this very survey. If you use Skype, Basecamp and work with a distributed team and client you'll use it constantly after the first day and it will be indispensable when you need to go back and have a chat with a client regarding an issue. The ability to take an annotated screenshot and send it to a remote worker, client, or contact is ridiculously useful. Having an arrow point at exactly what button, text field, or comment saves hours of time. I make every bug report, issue, and QA resolution submitted include a screenshot. We're much more productive and I softly push my clients into picking up a copy as well. It adds so much clarity to the process of "I'm seeing something wrong" that the time savings is worth it to me to purchase a copy for them. Screenshots and screencasts are super easy to use. I like being able to have a custom domain for my drops. It is very useful for me to be able to send a short URL to users and also have the statistics of if someone has viewed a Drop. The pricing options are very fair for the service and I have yet to find a better screenshot and/or sharing service out there that I could use. Web interface is a little confusing and harder to use than the regular app. Because I work for myself I don't have a lot of need for some of the other more premium features offered (business size) so I don't dislike this per se, but I don't really need all of those features. The GIF creation is a little flaky sometimes, especially if it is a little longer than what you might expect. Also, when doing the screencasting as a video, there aren't many controls for audio so it makes it harder to tell. If there was a way to make a video but not include audio, that would be very helpful. There aren't many better services that I can find out there for sharing screenshots, other than something like Dropbox (which I do use but is a bit clunky and overkill for a quick one-off). I would recommend for sure. I am a developer so I send screenshots for technical issues and/or explanations if a client needs help. The easy URL shortening and stats for who has viewed Drops is very useful. I would highly recommend this to anyone who needs to use a service like Droplr - it's great for small businesses and individual developers. "Droplr is perfect for what I do"
The ease of sharing. I can share a link, text, picture or a file to download with virtually anyone and it takes them to a nicely designed minimal webpage. It's perfect for lots of things. Uploading is fast too, which is a plus. 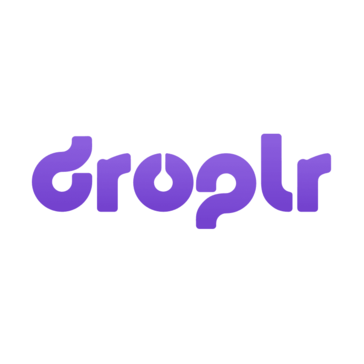 As a designer, I just don't like Droplr's logo. But that's basically the only thing I don't like. I loved the old drop icon for the logo, not the weird "D." Just picky for me I guess. The service though is top-notch for me. The website is well designed as well as the app. I love the fact that I can use keyboard shortcuts or just drag and drop links and images into the menubar on the Mac. If you're a designer working with clients, Droplr is a must-have for sharing larger files like Illustrator and Indesign documents. The nice download page is easy for even the most un-techy person to navigate and I've never had anyone tell me something didn't work when I sent them a Droplr link. It's just so much easier than running your own server, and the price is great for the benefit. Downloadable files on individual web pages that I can share easily has changed the game for me. Having no limit on file size is a huge plus, because I can share large files with links via email. Personal branding on my pages is a plus as well. I love sharing short links with people instead of large ones, especially in an email. It keeps things clean and not so messy looking with huge long links. I love how fast and easy it is to grab a screen shot or capture a screen video/gif to communicate something to a colleague, friend, or family member. A lot of times, it's much more time-effective to simply grab a quick screenshot of something, annotate it really quick to emphasize a certain area, then send it off to whomever you're communicating with. Droplr makes that dead simple, and crazy fast. I can't even imagine how much time it's saved me, and how many paragraphs of text inside emails it's helped me avoid having to type out. Honestly, there isn't much I dislike about Droplr. I've had some issues in the past screen recording or GIF capture, but app updates have fixed those issues. The only other thing I wish was better was the iOS app. I'd love to see 3D touch implemented, and other ways to more easily access links when I'm on the go. Other than that, however, I just really love Droplr. It's the best possible option out there for sending files, screenshots, and screen video captures. It doesn't have feature-bloat to make it more complex than it needs to be, and it gets the job done every time. I love Droplr. I solve a lot of business problems with Droplr. I'm a filmmaker, and sometimes sending links to clients to stream or download their videos can be difficult for them to understand. I sometimes send them directly through Droplr (and that's super easy,) but if I'm sending through Google Drive, sometimes I need to instruct my clients on how to download/access their files. It's so easy to use Droplr to show people how to do things on the computer. Everything from basic tech support, to more complex step-by-step processes, Droplr makes things much simpler. There's other tools out there that have the same functionality as Droplr (Dropbox, Skitch, Evernote, etc. etc.,) but none of them are as fast as Droplr. It's so easy. "A useful tool that I rely on daily"
There are really only two downsides I have about Droplr. #1 is the lack of keyboard shortcuts when editing a screenshot. I would love to be able to quickly jump between tools without having to use the mouse. #2 is the cost. It can be a bit hard to swallow spending $50/yr for storing / sharing files when you could just use Dropbox, or Google Drive, for free, but the storage isn't why I pay for Droplr. It's the tools they have built on top of that storage. For me, it was a matter of how much was my time worth? If you enjoy tinkering to create an experience similar to Droplr, then go for it, but for me I wanted a system that just worked and worked well. Droplr fit the bill. Droplr allows me to control distribution of files across the internet. Whether I'm emailing, sending via Slack, Facebook, etc... I can make sure that the people I want to have access to my files are the only people seeing those files. I can also review the access and revoke it for any file at a later date. "Love Droplr and use it daily!" As a product manager for a software company, Droplr makes it super-easy to share with my colleagues exactly what I'm seeing—and I can even annotate screenshots. Capture, upload, and copy to clipboard with a single keyboard shortcut! Not much to dislike. :) I find Droplr great. Use the keyboard shortcuts. The Chrome plugin is also great for capturing the entire page when there's a long page to share with colleagues. Droplr is great for using in conjunction with Slack and other apps since you get a single link you can post in multiple channels, discussions, or Pivotal Tracker stories for working with dev... or share directly with individuals in Slack or email, too. Easy to highlight important areas of focus or annotate, or communicate to dev through visual direction what changes I want to see on a particular page of our website. Droplr has become an indispensable part of my daily workflow for sharing feedback and suggestions with design or dev, or conveying to stakeholders upcoming or new website changes. "One of my favorite products"
We work in a remote team so the ability to easily explain something to someone visually is HUGE and droplr is my #1 tool for that. At my last company someone has a chromebook and wasn't as thrilled with the experience there. "Using Droplr for Design has been Great"
The thing I like most about Droplr is the screenshot ability. It's so much easier to show developers or other designers what I'm designing with a link to a screenshot, than actually having to save the image or share my screen. I wish there were more color options when drawing on a screenshot. The only other thing is that sometimes the link will take a long time to copy to my clipboard. Sometimes, I go to paste and the link is an old link. Be patient with learning the tools—they come in handy! Also, the GIF capture is so fun. It is a lot faster to share progress with designers or developers. The screen capture feature has significantly helped my work flow as well as the work flow of my team. "Functionally working reliably, not fluent and responsive enough"
I don't like that its sometimes hard to tell if its uploading - and how far it is. I would like to see instant feedback+percentage bars. I also don't think the design is the best. It should be super easy to copy the link - because thats what you want primarily. I would love a better android app. Google Drive is very similar - just more expensive for a lot of files. It helps me give away products, pdfs and videos to download in membership pages. Aswell as quickly share something with my friend. "Simple to use, integrates well in to daily workflow"
I like the integration in to the mac menu bar as well as it can be used from a contextual menu (share menu). All the options I need for modifying the privacy of my shared files, changing the title, adding tags, and sharing options are quickly available from this menu. The ability to capture screenshots, screencasts, and other items is also very useful. Tech support has been good when I have a question. You cannot search for past drops from the menu, instead you have to go to the website. Searching is not quite as robust as I'd like it to be on the website, but it works. Saves me a ton of time sending large files to customers. Also I can post file links for download at my seminars I teach. Easy to manage the files I upload and share for re-use and re-purposing. "Droplr Is an Amazing Software...LOVE IT!" I love the ease of use and shortcuts for the different actions to create screencasts or screenshots. I also love the ability to be able to have one shortcut go directly to the drawing section so I can mock up the screenshots. I dislike that when a link is copied and posted on social media, the actual image doesn't show up. Someone has to click on the link and go to the droplr page in order to see the image. I hate that and feel like it should be like any other image link, they should the actual image. Normally when people are using droplr in my industry it's because they want to show errors or ask questions about a specific page. Being able to see the graphic right then and there saves time and energy. Being able to support clients and providing tutorials, etc..
"Droplr Impresses My Clients While Saving Me Time"
My favorite thing is being able to quickly capture part of my screen and annotate it. My second favorite is the ability to create a quick video of my screen that I can narrate. Add to that the fact that all of those uploads stay in my account forever, and it's the perfect tool for Account Management. I haven't experienced anything negative. As an SEO Specialist, I'm serving my clients by capturing and annotating internet search results. I'm also recording my screen and narrating "How To" videos that are specific to their websites. The "wow" factor makes a huge impact, all while saving me a TON of time. Anyone who has written an instruction email for a client knows that it can be a painful process. A quick video is MUCH easier to customize. "Long time user, for a reason"
It's quick and easy to use, has all the features I want, save one. I don't like how the web UI or even the apps organize drops. It would be nice if it would categorize the images alone even and suggest tags, then allow me to group them based on that information. I have literally tens of thousands of drops, maybe even a hundred thousand who knows, and it's hard/impossible to find things that I haven't just done, or previously saved short code info on somewhere else. Seriously consider your options. You will arrive at Droplr in the end, I'm sure of it. The product is simple, but packs a lot of features you'll want. Can't recommend it enough. All I can say at the moment is, working with machine learning on ways to change the nature of work. "Why Droplr is better than Dropbox"
With Droplr you don't need to force your colleagues or friends to have the same app to be able to get your files. You don't have a size limit and you don't lose your file while sharing it. Droplr is the best option for file sharing and one on one costumer assistance. Get it, use it, love it. It doesn't have a hierarchical folder in your desktop computer. It would be great that you can have a folder inside your computer. Try it first. Sometimes you are used to a way of work because of the tools you used. Once you're ready for Droplr you'll never go back. I'm an audio producer and graphic designer. Both needs a good file sharing experience to be productive. With Droplr I can interact with client conplains and delivered in one step. "Happy customer for years! " Being able to quickly access Droplr from the mac toolbar has been key. It's easily the fastest way for me to share something. It's simple. Embrace that. It doesn't need to solve ALL problems, but solves very clear problems. Definitely the speed in file sharing as been #1 solve for me. I've also at times used it as a historical reference for things. I've found myself digging for back in history to find something important. So this would be the "found" benefit. "Droplr is one of my most used & beloved apps"
The speed in which I can share annotated screenshots, screencasts, and files with my team. I also like that I can access all of this at a later date. It can be slow sometimes, and seems more likely to crash than other apps I use. If you're looking for a way to quickly share screenshots and screencasts, and even annotate them, there are no tools superior to Droplr. This tool has revolutionized the way I share with my team. As a designer I need to quickly and easily share annotated screenshots of work, and I have not found a faster, more useful way of doing that than with Droplr. Outside of the obvious tools (Sketch, etc.). Droplr has probably contributed to more productive work than any other. Good overall functions but some parts are still missing such as music preview (player) for audio files, but other filetypes have been added and it supports pretty well code and markdown files. Droplr has been doing good overall yet there are some little things missing such as the audio player for audio file which would be really handy if you want to share music with people. Droplr does a really good job with both small and large files and allows us to quickly share them thanks to the desktop apps which allow you not spend much time with logins and just to do what you're supposed to do. * We monitor all Droplr reviews to prevent fraudulent reviews and keep review quality high. We do not post reviews by company employees or direct competitors. Validated reviews require the user to submit a screenshot of the product containing their user ID, in order to verify a user is an actual user of the product. Hi there! Are you looking to implement a solution like Droplr?